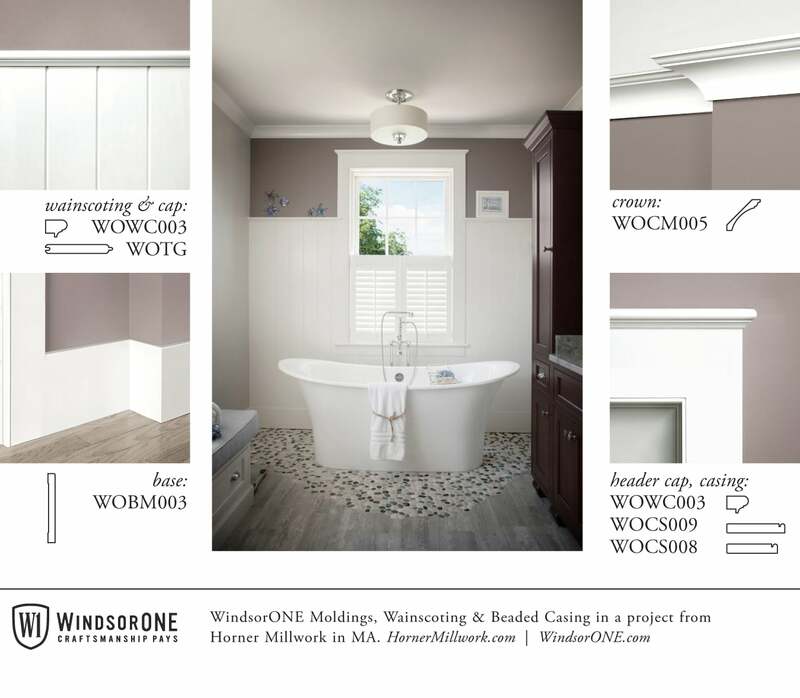 Check out the millwork in this beautiful New England waterfront home, featuring WindsorONE Moldings. Tall v-groove wainscoting featuring WindsorONE WOTG & beaded casing around the window. (Note in the Craftsman Idea Book, this idea is shown with beadboard). credit: Horner Millwork, with locations in Pembroke, Southboro, Woburn & Somerset in MA. Read more about this project on Houzz.